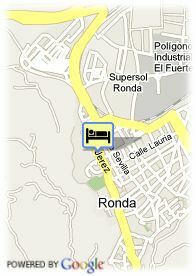 Jerez, 25, 29400 Ronda, Spanje. 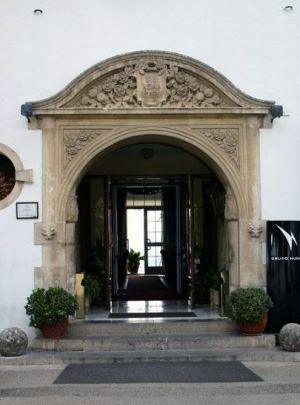 A charming hotel in Ronda. This four stars hotel has a very special charm, thanks to its Victorian style. Built in 1906 and redesigned later in several occasions, it preserves all the magic from the beginning of the 20th century and combines it with the latest technology and services, from the Internet access to the currency exchange. It is situated on an idyllic place, on a slope from the city centre and surrounded by a park of more than three thousand square metres, which includes also a swimming pool and deck chairs to sunbathe. This hotel was for a while residential and working place for the poet Rainer Maria Rilke, whose room is today a small museum. This English style mansion, build in 1906 at the side of the famous cliff Tajo de Ronda, which offers wonderful views over the mountains, surrounded by beautiful gardens. 90 rooms entirely equipped much of them with views to the mountains. At your disposal an outdoor swimming pool, meeting rooms, bar, coffee shop, restaurant with typical dishes, barbecue in the garden, and parking. Bergen, Park, Centrum, dichtbij/in de historische binnenstad, Panoramisch uitzicht, dichtbij winkelcentra.